The main objective of GEM is to develop and implement an international, interdisciplinary postgraduate curriculum in Geoinformatics, with a clear focus on the management of critical resources. In particular, important pillars of the success of emerging economies in the Central Asia region will be addressed. The program will focus on the contents, teaching methods, academic integrity and a collaborative form of delivery as well as laying the foundation for lifelong learning in accordance with the Bologna Declaration. 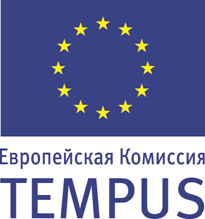 GEM has been developed and is being jointly coordinated by the Centre for Geoinformatics at the University of Salzburg, Austria and the Austria-Central Asia Centre for Geoinformatics as the focal point for partners in Central Asia.